Impressive, but if things had been going smoothly the number would be higher. The A320neo program is further along than the Max. You can’t compare Max or Neo percentages of overall narrowbody deliveries in the same calendar year to judge quality of ramp up between the two companies. You need to compare apples to apples ie percentage in first year of production, percentage in 2nd year of production, etc. The neo ramp up had been hit by engine shortage and problems last year, hitting the delivery numbers, the frame production went well. Deliveries in the last two month are now quite a bit above FAL capacities, working on the glider numbers. The MAX ramp up seems to have been hit by fuselage and other shortages apart from missing engines. October delivery numbers still low with only 43 overall, 22 of them MAX. Yes, and it is entirely possible that Max deliveries will eventually be higher than FAL capacity as Boeing works through their parked backlog. My point wasn’t that Max ramp up has been smooth and trouble free- it is that trying to make statements about which ramp up is “worse” based on 2018 deliveries is pointless and ultimately meaningless. 2018 deliveries don’t give a full picture of ramp up health. That is a multi year progress and if you want to judge ramp up success you need to make comparisons at the same point of time in the program’s life and look at multiple data points. If all things were equal Airbus should be delivering a higher percentage of Neos than Boeing is with Maxes right now-Airbus has been building them for 18 months longer! Keep in mind that the Max has only been in service for...18 months. If the order of service entry was reversed Airbus would just now be delivering it’s first Neo! Believe it or not in just over a month the first Neo will have been in service for 3 years. Looking at and within one year is like looking at the A330neo ramp up and judging it based on how many 787s Boeing builds in the same period. As the ramp up aims for the 737 family and A320 family at Boeing and Airbus are declared in whole numbers, not single models, and both are transferring over to the new line while ramping up, furthermore both have similar aims in production rate, I think the comparison should not be complicated. It is of course very complicated once Airbus is showing better numbers. Why would Airbus not be launching this slam dunk A322? I for one think that it is because they don't need to and at a time when Boeing appears to still be nailing down the specs of the MOM Airbus dot want to show their hand. Same reason Boeing isn't launching the MOM/797 even though there is good evidence that they are well on with it. You don't make suppliers sign NDAs on your projects only to tell the Media what you are doing. On normal configurations there are fewer seats and at least 4 lavatories. Not all carriers are ULLC's with 2 toilets & no food. Don't write it off vs another companies product by looking at Full service ops on one vs limited service ops on the other. It would make you look trollish. That gear fit into the old bay. They used smaller tires & wasted space. Mind you what are conformal fuel tanks. I've seen no mention of them before. Hawaiian said they can operate 2 A321neo's for a little less than 1 A332. LLC/ULLC do not concentrate on cargo capacity other than passenger bags. They exist to transport just passengers & their baggage. As they destroyed the manufacturing components, have no new engines in that size range that cut fuel cost. No they can't it gone for good. Also the they need min 25% lower fuel burn to compete. The MOM is not about protecting the 757 position,that train left a while ago.Their last response to that market is the 737-10. What they are concerned about short term is protecting the large regional 767 market - hence the rumour of the one off 767 potential pax build. They know full well that a A322 gets far closer than anything they've got at present. What they are also hoping for longer term is an expanded P2P role for such a mid range aircraft. Whether that all adds up to a commercial 797 launch is not known. You realize the 757-200 is only 9.25 ft (2.8 m.) longer than the A321 on the outside. It also has a longer tail, resulting 757-200 in cabin length being around 7 ft. longer. the 757-200 is not 16.4 ft. (5 m) longer. No, the cost of the FAs should be on the order of 5% of overall flight costs. It does not take 12 seats to pay for each FA. The decision is based on incremental cost versus incremental revenue. The incremental cost of the FA might be $80 for a short flight. The revenue you need to pay that FA is $80. At a RASM of 10 cents, on an 800 mile flight, one seat provides $80 revenue to pay the FA. Other seats pay for other things, like fuel, the wonderful in-flight magazine and so on. At least, this is how they decide 160 versus 150 seat configurations for A320 and B738, or Delta's M90. The money from those extra seats does not all go the FA. I can’t imagine the 30 year old 1300 sq ft wing being able to take a substantial stretch and MTOW increase. Before long it will need to use the Trent XWB to fly. If they work on it, it doesn't mean there'll be a new fuselage tomorrow. All those new technologies take decades to mature. Actually a stretch would eat into MTOW so it would be lucky to fill 2 ACT's. I actually think this revised centre fuel tank will only add the equivalent of 2 ACT's of fuel but take up the space of 1 of the rear ACT positions. So one ACT position is made available for cargo or more fuel. This would allow Airbus to make this new centre tank standard on other A320 family members. The A321 can then be sold derated at the original 93T MTOW without any extra ACT's. So total fuel will be equivalent of 2 ACT'S in the current frame. The A321XLR will then carry two additional ACT's one forward and one aft at 101T MTOW. So total fuel load will be equivalent of 4ACT's in the current frame. The A322 will then have no ACT's and just go with fuel provided in the new expanded centre tank. At 101T MTOW and a 5m stretch it couldn't carry any more fuel. That is the view of an airline. The remaining operating costs would practically be unchanged if you have 150 seats or 160 in the same airplane. So if the 10 additional seats usually create revenue exceeding the costs of the extra FA, they are worth it. That is not the view of an airplane design team, as for them the average CASM and RASM of all seats matter, as now you are looking at adjusting the plane itself for additional seats. The stretch comes with extra weight, the addition of emergency exists adds weight, the longer plane is heavier and usually more expensive to buy, the extra FA also adds costs. So CASM goes up for the stretch and now you start calculating how many seats you need to make the stretch appealing. So CASM goes up for the stretch and now you start calculating how many seats you need to make the stretch appealing. Cost per seat goes up for a stretch? So RASM goes up, too or how do you explain that stretches are done? At EZ they kinda decided that 6 extra Pax on the A319 are worth the extra flight attended and maintaining an extra set of exits iirc. I should have said operating costs go up. However, that was not a stretch. It’s just more seats in an existing airframe, extra exits notwithstanding. Typically a stretch is going to have a higher price tag and a higher direct operating cost. Those might only be marginally higher but they would impact the equation differently than just adding more seats. Obviously there are more nuances to it than what’s written. A stretch of the A321LXR should bring the A321 into 250 passenger single class territory, without sacrificing toilet and galley space space to much. As it is now, not even the cheapest ULCC is pushing the A321 that far, the hard limit seems to be 240 pax. If it should be possible to stretch the A321, it will be quite the CASM machine. If it offers a range of 3,500 nm it could be a very attractive step up in capacity for various airlines. My only question would be, does Airbus really need that frame now, if one regards the current backlog. 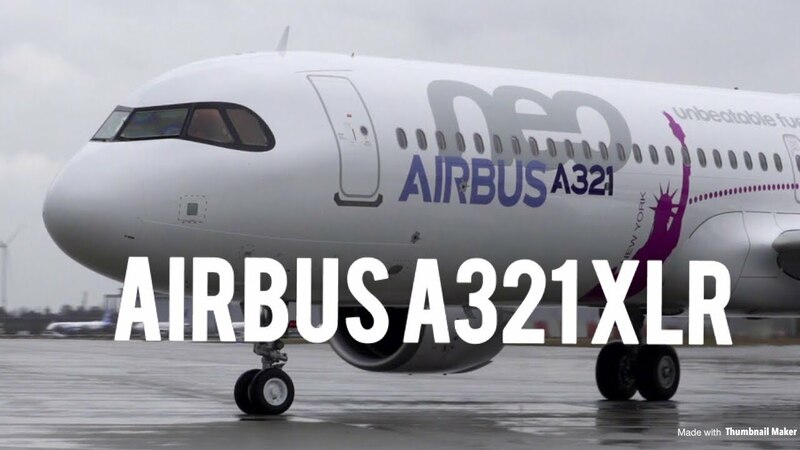 Pushing the production to and past 70 A320 family frames first seems to be the current recipe to make money Airbus would have to add another FAL like #4 in XFW for that. And I think one can reassure Newbiepilot, the A321XLR and a potential stretch will be able to fly and take off at 101 MTOW, otherwise Airbus will not design it. If the order of service entry was reversed Airbus would just now be delivering it’s first Neo! Believe it or not in just over a month the first Neo will have been in service for 3 years. Airbus carried over a humungous backlog of CEO frames too. You have to look at planned vs actual delivery distribution NEO/CEO. Boeing with a lesser NG backlog was forced to try to convert faster. Since this hypothetical-but very possible aircaft is in response to Boeing's MOM it's perhaps worth looking at that -including ( as I see it) the smoke and mirrors! Does Boeing see 250 pax as the Magic number? Wherever you read you see the same pax figures given for the 797. It is 220-270 pax. However what this actually means i note is never fully explained.There may be a reason,particularly if one adds logic. Could this mean one class? Obviously not, as that would make the aircaft significantly smaller than the 737-10.You certainly don't need a twin aisle for that! Could this mean two class? Obviously not ,as that would make it far bigger than the 787-8.Indeed in one class it would be a mighty 300 pax plane! So what do these numbers mean? May I suggest. 220 pax refers to 2 class.As such the one class number would then be -250 pax. 270 pax refers to 1 class.As such the two class number would then be ( you guessed it)- 250 pax! Since the two sizes are stated to offer different ranges (4.5knm and 5.5knm).One can see that Boeing are making 4 offerings when combining the two variables. The theoretical A322 would only really be operating in one 'combined' sector. A 220-250 pax aircaft depending on 1/2 classes.But only being able to offer it as a transcon' regional machine at 3knm. So it really comes down to whether that's a problem ( lack of range) or an opportunity ( better operating economics over the shorter distances). You seem very satisfied when somebody post something that should put Airbus down and get peeved when somebody answers it. If you look at what I write I both praise and put down both A and B in various threads here. So many people want to line everything up into A vs B and decide to personalize any perceived "put down" to "their" side. Interestingly enough, what you wrote in #176 is very similar to what I wrote in #128, so if you step back and stop seeing things through the A vs B lens maybe you can put away the sting ointment. I would state more about the topic at hand, but I think I've given my opinion in #128. Boeings 220-270 seat numbers for the 797 are both in 2 class. These closely match the 767. The 767-200 is 214 seats 2 class. The 767-300 is 261 seats 2 class. This means the larger 797 will definitely exceed 300 seats in one class. This is still less than the 359 seats the smallest 787-8 fits in one class. Jetstar has 335 seats in the 787-8 and it still has a small business class up front. If we take the A321 as 240 seats and the 787-8 as 359 seats in one class then we have a MOM gap of 119 seats. The exact middle point of the MOM gap is then 300 seats in a single class. As Boeing has two fuselage lengths then it would not be surprising if the larger model sits just above the middle point. If Boeing spaced the two 797 models evenly in the MOM gap then it would mean they have a maximum one class of 280 and 320 seats. The smallest model is 40 seats above the A321 and the largest model is 40 seats below the 787-8. Some people suggest the 797 will be closer to the A321, this might be true but it is highly unlikely the larger 797 would be below the middle point of the MOM gap. This is why I believe the 797 will be 8ab. If the A322 fits an extra 20 seat over the A321 increasing it up to 260 seats I expect the smaller 797 to be a bit bigger than this. The smaller 797, spec wise I expect it to be half way between the 767-200ER and A310-300. Take the specs of both and average it. Cross section the 767 is a very comfy 7ab, the A310 a slightly comfy 8ab. A fuselage half way between the two would then be a standard Boeing 8ab. The larger 797, spec wise i expect it to be half way between the 767-300 and A300. Apparently they are studying a 100t MTOW version without a new wing. If it is stretched or not, would mainly change payload-range. That said, maybe there is something inbetween the existing wing and an all new wing, a compromise.. you could adjust the cord, profile, thickness, slats, flaps, twist it, change tips, better fitting medium range / 100t + requirements. Maybe there is a grey area between "improved" & "new" from a production and certification perspective. That is only 3t more than the A321LR. That is not enough to allow for a stretch, another ACT, and the additional pax/bags from the stretch. It is, if reduce payload, range or both. As I indicated in the OP. MTOW is strongly related to wing loading, wing surface and airfield performance, but not exclusively. Thrust, fuel efficiency play a role to. But mostly you are trading weight for range. I’m not sure what exactly would be attractive about this proposed aircraft for intercontinental use rather than just using a 100t A321LR. Substantial (your word not mine) stretch would probably eat that entire 3t- and now you want to add more fuel on top? Payload would likely be lower than the A321 despite its larger size. Now it may be a nice short haul people mover, but nobody is going to put 4 ACTs in that. Maybe, but like another poster stated up-thread, I'm not convinced that Boeing's NMA and whatever XLR/A322 Airbus comes up with will be direct competitors. I can see airlines operating both side by side because they are that different. all indications are that the NMA will have TPAC range while a XLR/A322 might not even have TATL range. So while both may seat a similar number of passengers, their missions will be completely different. I am certain the world has been waiting for the all business class 90 seat A322XLR. That will surely kill the 797. That sounds a lot like the 737-900-not-ER, a product that airlines liked well enough, but was roundly scorned here on a.net. A 4500NM 170 SEAT A321XLR and 3000NM 250 seat (single class) A322NEO might be the same aircraft, apart from the stretch. Like the 777-200LR/300ER or A330-300/200. I think demand for a <2500NM A322 might maybe be 4 times larger than for a 4500NM A321XLR..
A <2500NM A322 is not going to have 4 ACTs in it. Nobody is going to put 4 ACTs in it, or else it won’t have enough usedul payload to put 250 pax in it. Btw I assuming that is 250 in a 31-32” layout, if that is 250 in a LCC layout than that stretch is not even worth it over just taking the A321 for most. It will be like the 738/739 all over again. You were the one who mentioned how Airbus could use the extra length and Mtow to add another ACT rather than looking at ways to get more fuel into the A320 platform. The implication of that statement is clear- “Airlines can use the stretched A322 to get extra fuel to fly those longer flights”. Don’t backtrack and pretend you were talking about a regional short haul people mover the entire time because it was pointed out that the MTOW increase being studied is not enough, and that additional changes (ie a new wing) would likely be required for your fantasy long haul A322. Actually, that does not make sense. The airlines and the airframe makers talk. They agree on the basic mathematics of the situation. Both compute how much revenue on average the extra seats will bring, and how much an extra FA will cost. But both agree on the same math formulas, the same basic analysis concepts. If there is any dispute (like what IS the average cost of an FA) the airlines get to decide since they do the ordering. Pls spares us your absolute truths & stop attacking stuff nobody said. Airlines will keep using the number of ACT's that fits their mission profiles. Adding fuselage & MTOW greatly extends belly flexibility to use for luggage, cargo and/or fuel. There's no optimum, just flexibility and additional opportunity above the current A321 and 7379/10 payload-range segments. I'm predicting a the eminent launch of the Airbus A322KSJ any time now. All joking aside... The A320 family is going to scale up.... rewing (with greater fuel capacity) and stretch are coming. with apparently a regular A321 payload. guestimating that is fuel for ~15..20 minutes? flying time or 140..120nm range. Add the possible payload increment per m stretch. It's funny, the going theory 18 months or so ago was that Airbus would need to launch this in 2018. Well, here we are, entering 2019. There's probably a reason (hint; customer feedback) this hasn't happened yet. The Boeing NMA/NSA duo is not dependant on anything Airbus does with the A320, imho. Boeing can/has gamed that out at least as well as our friends keesje/Leeham. If such a plane could lock any putative NMA out of it's core market (US3), it would already have snazzy press releases and initial production delivery dates scheduled. I think a 4 meter stretch of a stretch in this very high volume narrow body world would be more difficult than the armchair experts realize, to sell profitably for many years. Besides, why? Airbus is already selling as many A320's as they can make/get engines for. Think about it: 18 months ago, everybody knew Boeing would launch the 797 at Farnborough 2018. It didn't happen, so Airbus didn't pull the trigger on the A322. Because the A322 (a derivative variant of an existing airframe) can most likely be brought up to market much faster than the 797 (clean sheet design), it makes sense for Airbus to wait until Boeing shoots first so they can better compete with it. Look what happened with the A320neo & 737 MAX: the common wisdom was that Boeing would replace the 737NG by a clean sheet design, and it seems like they were about to. But, Airbus fired first with the A320neo, and Boeing knew they couldn't counter it in time with their plans; that's why they decided to re-engine (for the 3rd time!!!) the 737 and created the MAX (which was brought up to the market in roughly the same amount of time as the A320neo). 2017 was at least a record year for Airbus in regards to A320 family deliveries and they beat out Boeing in narrow body deliveries, 558 to 529. Not to bad for a troubled year. By the way, Airbus delivered 71 A320 family frames in November, not to bad for a month that is not December. That means that Airbus is now at 533 A320 family frames compared with last years 453 at the end of November. Last edited by mjoelnir on Fri Dec 07, 2018 6:30 pm, edited 1 time in total. If the XLR manages 4500nm and a stretch would manage 3500nm, that would be above 737-900ER territory, about what a 737-9 does. I don't disagree with the history lesson, but I do think Boeing in the end was happy to not have a new narrowbody in development when the 787 troubles peaked. As it happened, well, c'est la vie. Today, talk of an A322 is over 10 years old. It could happen, but the question is whether it really should, at this stage in the production/orders/life cycle for Airbus. Airbus, were I somehow transported to a parallel universe making decisions for them, has the potential to leap frog the 737 replacement by going to a new series while Boeing is toiling on the NMA production systems. They could keep selling A320's as fast as they can make/deliver them the next ten years (without any new versions), but getting a successor into service before Boeing has time to sketch out an alternative/integrate with Embraer could be very disruptive. And, hey, disruptions are fun. Yeah, and remind me again the percentage of 739/900ER routes are actually flown further than 3000 miles? How many of those are not flown by Delta? I don't know what point you are trying to make, but I'm trying to say that stretches without proportional MTOW + thrust gains don't get much respect here on a.net, yet seem to do well enough in the sales arena. The automated production method might be new, but the fuselage material has been around. The GLARE fiber-metal laminate forms part of the A380 upper fuselage. Airbus and its suppliers were targeting a decision whether to proceed with using GLARE on the A320 fuselage earlier this year. If they chose to go with it, the first FML panels will make it into fuselage production around 2023, if I'm interpreting what I've read (elsewhere) correctly. Last edited by CowAnon on Sat Dec 08, 2018 12:08 am, edited 1 time in total. I don’t know of any 3000nm 737-900ER routes. Turkish comes close at 2900nm Turkey to Tanzania. I also don’t know of any A321s under normal passenger operations (not charter) that are more than 3000nm.